You can unpublish the TrustedSite Trustmark on your site at any time. You'll receive the following message: Unpublish trustmark? This removes the trustmark from your website and allows you to edit DNS records. You can publish the trustmark at any time to have it reappear on your website. Click Unpublish Trustmark if you wish to unpublish. 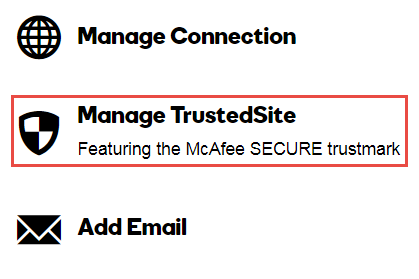 Note: Unpublishing your TrustedSite Trustmark is not the same thing as canceling your Trustmark. You can republish the Trustmark at any time. You'll now be able to edit or modify your DNS records. It can take up to 24 hours for the Trustmark to be unpublished from your site. Please wait 72 hours before unpublishing and republishing.